As others have said, there are a lot of good ideas, but middling execution. Generally the playbooks feel a bit messy, both in terms of editing and mechanics. Many moves just give bonuses, some moves are a bit overpowered, some moves are a bit too busy or complex. Fated Hero: Dwarf starting options are pretty boring, Signature Move seems quite overpowered, Heart of a Hero feels a bit tedious, Prophecy is interesting though pretty similar to the Paladin's quest. Fateless Hero: A lot of moves that steer you into the roleplaying but don't let you DO all that much. Mentor: Probably the best of the bunch. Should work with minimal hacking (unless you build your character very specifically, your stats are all in the toilet. Come on, I've already only got a d4 damage dice). 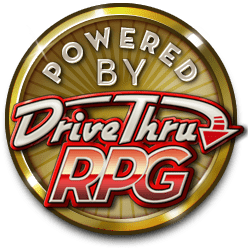 Some of the moves are quite powerful, allowing you to level up with Wizard or Cleric spells in addition to leveling up, or getting free magic items based on places you've previously been. Prophet: Primarily based around a new "currency" called "Revelation Rating," which can (basically) be substituted for the stat in a lot of rolls. I find it to be a bit over-busy with a lot of cross referencing required. Sidekick: Partners/links your character with another in the party. Some fun ideas and good opportunities for roleplaying. Some moves let you combine rolls, others let you protect the hero, etc. Might have been interesting to try to tease out some ideas about Samwise being the true heart of the Fellowship, etc. but mostly it's about being able to double-up on rolls and use +BOND for more things. I was disappointed that this class did not come with the lovely art as a cover. Given that it has lots of info squished on the character sheet including New Tags and the like, it might benefit from being made into a print book, which would conveniently be a nice way to showcase that great painting. The playbook itself is fun and interesting, but it's a bit too specific and crowded (literally and figuratively). It would benefit from leaving some conceptual open space to allow the player to be creative and come up with their own interpretation. It's got lots of cool ideas in here though. The author was clearly excited making it, and that's a definite plus. One thing i have noticed after reviewing many of your classes is that you create a specific way of playing each class. When i first began designing my own classes, this was a huge problem i encountered, especially when other people played them. I would get upset and say that "this isn't what you're supposed to do with that move" or "that background doesn't make sense with this class". What you have to understand about Dungeon World is that it is very much reliant on the Players to build their characters and the world itself. Restricting on this freedom inhibits the ability to create a cohesive character, as well as impedes upon the fun that the players can have. For example, if you recall my comment about the Centaur in your Wrath of the Wilds bundle, you gave them no choice in how to play their character with their Prideful Creature move. In the Metallurgist, the very first move dictates how their backstory should work. I love many of the classes and the ideas behind them, but i would not recommend any of them to my players, most of whom are DW veterans and are used to the freedom in character creation. This freedom is what sets Dungeon World apart from, and in many opinions, better than, other games like it. When i looked through the description, i loved the ideas for all of the classes. I mean, SQUIRRELMANCER?! I had to have it. Unfortunately, the final product i am not too pleased with. I can understand the gist of the moves, and i can see why much of it was done the way it was done, but it's like the author has never read how Dungeon World moves are structured. Much of the wording is slightly difficult to understand, and for some things i feel i have no choice in how my character is created. For example: in The Centaur, you have a move called "Prideful Creature" that prevents you from performing acts that a beast of burden would do, such as pulling a card or carrying people on your back (Both of which make sense)... but then you're also not allowed to surrender, nor are you allowed to allow yourself to be captured alive, which have very little to do with the other things. Overall, i enjoy this product, but would not recommend it to others. Pleb Publishing have a lot of interesting looking playbooks, but the lack of previews and detailed reviews have always deterred me from checking them out. I bought the Geis Knight, and it certainly does explain the lack of previews. The concept is great and really cool, but the moves are all over the place. The starting moves are a variant of the Paladin's move "Quest", which is pretty good. Their other move is one that only triggers on a 12+ on Volley or Hack and Slash, allowing you to add extra effects to your attacks. There is a race move that allows you to Hack and Slash with INT, but these are still two starting moves using different stats. I bring this up because it gets worse. The list of 2-5 moves have among them four moves that roll INT, WIS, CON, CHA, respectively. There is another similar list of moves within the 6-10 list. Adding to that the Starting moves that require 12+ on Volley or Hack and Slash, you've got five or six different stats the playbook is based on. Beyond that, there is also an additional imballance in the choices of moves available. In the 2-5 bracket two moves you have available are one that can deny rest to a dead or dying creature by forcefully reincarnating them as a fly, which may have potential consequences for yourself, and another move that instantly destroys any undead you deal damage to. The former, I cannot find any use for, while the latter is an incredibly potent, albeit situational, move that might trivialize a whole category of enemies. And as a final cherry on top, the book is in heavy need of editing. One of the races gives you +1 strength, not clarifying if it gives you a +1 STR, or you just start with your strength 1 higher than it normally would be. In addition, there's a move that says "you take +1 with anyone of your race" never clarifying some major points. Is it +1 forward? Ongoing? Is it only against them, or only on specific moves? Is it just a +1 whenever someone from my race is around? All in all, several very interesting ideas that wasn't fully realized, thrown together in a poorly written playbook that will likely have a hard time finding use in a game because of the mechanical flaws to it. I wish it was better, but I cannot recommend this product to anyone, unless you're so sold on the idea that you can look past all of it's flaws. If this is a good example of the quality you can expect from Pleb Publishing, then I'd advice avoiding their products. Hello there. First and foremost, thank you for your purchase and my apologies for the playbook not meeting your standards. I’ll try to clarify some things her ebut I can’t promise it’ll redeem the playbook in your eyes. Mainly the Geis Knight can be built to be primary a ranged or melee fighter, which would motivate the players to put a good stat in either (or maybe even both if they want to be very combat oriented), which leaves rest of its stats with no important job. In both 2-5 and 6-10 moves there is a move that uses each of CON, INT, WIS, CON, CHA. These powers enable a level of customization to the Geis Knight to let you choose what stats you want to rely on and put points into as you level up. The Fomorian race options, which gives you +1 Strength, quite clearly states Strength and not +STR. The ‘take +1’ was my error. It was meant to be ‘take +1 to all rolls with them.’ The wording of ‘take +n with whatever’ was a common term used among other fan made playbooks that we’re played alongside the Gies Knight in the two playtesting games. I assumed it was applied to all rolls with them, but clearly this isn’t the actual wording. When I get a chance soon I’ll fix it up for you. As with the varying use of powers, I’ve played-tested the class for twelve sessions. I’ll agree for the first couple read overs it clearly displays an imbalance like you noted. I’ve found some really fun combos and alternative uses for the powers that made everyone worth taking, but I can appreciate that they do feel lopsided without holding a think tank session over each power. I’m really sorry this product has put a bad taste in your mouth, but I hope I’ll be able to remedy it in the future. Even if it wasn’t a positive review, I really appreciate you taking the time to give me feedback. A lot of crunch, but wonderful ideas to work off of. This supplement would feel right at home supplementing a more "traditional" fantasy RPG system, but unfortunately feels like it steers Dungeon World a little too far away from the more unfettered, fiction-heavy way it is and fills it with extra stats, numbers, and equipment management. While I'd be lying if I didn't say it feels oddly...appropriate...in a scientifically-advanced setting, it still goes against what makes Dungeon World my favorite RPG system. That said, that's just my opinion. There are some people I know that don't like Dungeon World specifically because it's too light on crunch and they have a hard time with the "fiction first" mindset. If that's the case with your group, you will feel absolutely at home with this supplement. Mechanics aside, the playbooks themselves are bursting at the seams with flavor and thematics. When I saw there were not one, not two, but three classes that could essentially be summed up as "has a gun", I was a little worried. But luckily, the nimble, roguish pistoleer, cold, calculating musketeer, and grizzled, slightly insane cannoneer are all completely different from one another both in flavor and in function, and the author has done a fantastic job coming up with a diverse bunch of classes that all play and feel different, but still all distinctly feel like they belong in the same setting together. The creativity doesn't just apply to the classes, though. While some people might overlook or not care about them, my favorite part of this is actually the race options. I've always loved the idea of traditional fantasy settings modernizing, and as the land is explored, societies advance both technologically and culturally, and random attacks and raids by monsters become less and less of a common threat. And so, the so-called "beast races" are forced, by necessity, to integrate with society at large. There are lots of opportunities to play these races for every class, and one of the playbooks is devoted entirely to being a big, lumbering monster in a technologically advanced society. Basically, how it works is every playbook has 3-5 race options, with a grab bag of different races for every option. These races run the gamut from the intimately traditional ones (dwarf, elf, halfling, human) to less conventiona, but still somewhat familiar (goblins, gnolls, ogres, ratfolk) to some rather creative ones that, by necessity, require fleshing out (mole-creature, turtle-humanoid, and bugfolk, to name a few). These unconventional races, name-dropped with no further explanation, play most strongly to Dungeon World's "here's an idea, fill in the blanks yourself" philosophy. It's something that seems really simple, and mechanically it is, but I feel like a campaign where someone decides to play as a sentient slug-humanoid (which you can totally do, by the way) opens up so many questions to be asked and completely changes the feel of another campaign where everyone decides to play as the traditional dwarf, elf, halfling, and human races. "Portray a Fantastic World" is one of the GM's three principles. So, what could have been "fantasy tropes you are all familiar with by now, plus guns and stuff" becomes "they build the railroads with giant, bipedal stag beetles, and the automatons are at war with the boar-people". I love it. In conclusion: there is a lot more stats, dice roll tables, and inventory management than in base DW. Personally, I'm not a fan of that. However, if you or the other players at your table feel that this is precisely what DW is lacking, you'll love it. I love the ideas presented in it too much to not recommend it, the class design and little bursts of thematic flair are more than enough to keep it afloat (the class that is addicted to the industrial chemical fumes that make them fly into drug-induced rages has the option of starting with a "heavily worn copy of a self-help manual you stole"). I plan on running through it all with a fine-toothed comb and tweaking each playbook before pitching a steampunk setting to my group. If that sounds like the kind of work that you're willing to put in, then I can't recommend this highly enough. \"Sadly, it seems that the developer has once again relied overly heavily on numbers, and set many of those numbers quite high, where a more fluffy approach would have been much better suited\" Say no more fam. I know what I must do now. Also, a few things I can help clarify or expand on in your review for you: The item that gives a +8 forward in the Addict class, the Home Brew Cocktail is only two uses and limited. You’ve also neglected to mention that if you spend a use of this item that you must roll for a move called Burnout, which could lead to weakening your character or outright passing out. Also the item was meant to be limited in its uses and that you were also only be able to get one. It is a starting item unique to your character, and unless a GM wants to include more of them in the campaign, is meant to be singular. For the Reanimated, yes, it’s class is deigned to be a ‘tank’ in the sense it endures much damage and goes head to head with enemies. You do subtract your CON from your Unfeeling Construct. Which yes, through four Advanced Moves you can get that valued tripled through, and the earliest to do so would be at level 8. But you’ve also neglected the drawbacks of this by the Array Of Machinery and the Unliving moves. Between these two, you can’t wear Armor (though you could use a shield, but likely you won’t have any hands to hold them with, likely replacing them with your mechanical implements from the Steam Powered Implements move) and you can’t be healed by healing magic that isn’t designed for undead and automatically are destroyed at 0 HP without being able to roll for Last Breath. Without being able to heal normally/roll for Last Breath, your Steam points and the Con subtraction allows you to take the punishment a heavily armoured fighter or a paladin would endure. Though you are free to mod these classes as you like, I don’t think a crunch heavy approach isn’t necessarily bad design, but rather just not what DW is really about. But if gamers like you are buying my products who would rather the fluffy approach, I should try to accommodate that taste in the future playbooks I haven’t already finished. I wanted to like this bundle, so I took a risk on it. The concepts sounded pretty cool, especially the Mentor. But what I got was a collection of classes that are way too heavily dependent on roll modifiers. The number of "+1 forward", "+3 to WIS Defy Danger rolls", "+2 armor" moves in here is not to my liking. The moves have names that imply something thematic, but instead of having cool fictional effects we get mechanics instead. It's just not very *World. Here's a couple examples: the Fateless Hero has an advanced move (lvl2+) that just gives straight up +2 armor. Really? He has a basic move that, in exchange for a negative trait, he gets a straight +1 to either Discern Realities or Spout Lore. I'm not a fan. Similarly, the Fated Hero has a basic move that is just flat-out better than Hack and Slash (with the restriction that you can only use it on Notable Enemies). You can deal double damage (or a list of other powerful choices) even on a 7-9, and it doesn't provoke a counter attack like H&S would. That's crazy. There are some great playbooks in this collection, and they have some interesting synergies. The editing is okay (missing stats and incorrect page number references as noted below), for example, the Lich, which is able to create undead to serve it, lack a listing for the base damage die for those undead, but HP, stats, etc are listed for them. The Lich can't be permanently killed if it has any phylacteries remaining in the world. This is balanced by making it fragile with 6 plus constitution hp, and a base damage of 1d4. This actually makes them much tougher than many undead since they usually don't get to make Last Breath rolls (they are automatically destroyed at 0 hp). But in my opinion, their real draw is their Create Undead move. They can take groups of humanoid corpses and animate them into undead abominations. The more bodies present, the better (and bigger) the resultant creation. They can only control a number of bodies equal to 2 + their level, so they can;t make the largest undead at first level, but as they level that gets better, and there are two options for increasing the number further. A 10th level Lich could animate as many as 16 bodies worth of undead, as well as possibly being aware of everything they see and hear, making them intelligent undead, and/or tougher and stronger than normal, depending upon the options selected at each level. Now consider a party with a Lich and a Stitcher (think undead doc Frankenstein). The Stitcher can repair undead, and graft additional undead appendages, granting various bonuses. The Stitcher can add a coat of mummified flesh to the Lich's created undead, giving them extra armor, or a second layer of skin for 2 extra hp. With an Advanced move called Graft Optimization you can add two grafts to a single creature, so you could do both. Or get Darkest Designs which gives you better version of each of those (as well as other useful grafts) and really make those undead scary. Next we have the Entombed Sorcerer (think ancient mummy). They start out a bit weak, with only a d4 for damage, but they have a different kind of magic called Heka. By invoking that they can do damage at different ranges, with hand range getting +1d6, near +1, and far -1. They can also use it to grant +1d4 damage to an weapon on its next damage roll, which could help an ally, and they can heal both living and undead, making them quite versatile. But as they level they can improve their damage, though it will take three of their advances to get to their max of 1D10, and after they they can get +2 twice, making them capable of doing a lot of damage at up to far range (1D10+4), and crazy damage at close range (total of 1D10+1d6+5, if I'm reading it correctly). But probably their most powerful effect is creating additional Mummies, though they are missing some of the needed stats as it refers to page 259 of the Base book (should be page 261 in my copy), which doesn't have any stats for their chance to hit (since as monsters it depends upon the PC's rolls normally), etc. There are several other good playbooks included, and most probably don't have the same editing issues, though I missed the Entombed Sorcerer's lesser mummies issue until I was researching this review, so they might exist. I still really liked several of these playbooks and think they would make a really interesting, all undead party for a different kind of experience. I'd easy bump this up to 5 stars if the editing issues were corrected as classes are really interesting to read and generally don't seem too unbalanced (probably a little on the high side in some cases, but not too crazy until the high end). Just saw this and agreed. This playbook was rushed. I\'ve been slowly going to each bundle one and have been updating them and when I do this one I\'ll be implementing some of your feed back. Thank you for taking the time to critically review my product. This is not worth $12.00. The playbooks are poorly edited and rife with typos, grammatical errors, etc. The themes are kind of interesting, and there are some clever mechanics, but overall the execution is poor. They do not appear to have been playtested and in many cases the mechanics jar with others in the game. More often than not, moves take a mechanic approach (bonuses to rolls, stat modifiers) to things that would be better handled as fictional truths or "when X, Y" trigger moves that skip the roll. An example of what I mean: (From the Imprisoned, Creator of Monsters Background) "...You can add your level to all Spout Lore rolls involving monsters...."
Why not just let them ask the GM a question? Or give them the narrative authority to state fact about monsters? Another example: (From the Ageless, Ancient Sorcerer archetype) Whenever you wish to call upon magics forgotten to the races of today, roll +INT. On a 10+, choose one of the following sorceries to invoke as you reproduce it flawlessly. On a 7-9, as above but the price of using this lost power comes at a material cost or unwelcomed attention. ...followed by a list of 8 choices that amount to: 2d4 damage at range, 2d8 damage close, heal 1d4 damage, +1 armor forward, +1 forward to Parley, have foes come out of hiding, turn an unattended object to mud. Those last two options are kind of neat. But overall, the move is so... limited. Hardly evokes being an ancient sorcerer with access to all the lost magics of the ages. A standard Wizard with Cast a Spell, Spellbook, and Ritual has more flexibility. And that's the problem I see so often in these playbooks. The concepts and themes are all about incredible power and the burdens that come with them, but the actual power they provide is just... flat. And often not that powerful. I dislike giving this kind of feedback. But I also don't think that anyone paying $12 for these playbooks will think they got their money's worth. It deserves the three stars for its concepts alone, but the wording on the moves feels clunky and messy. I don't regret acquiring the material, but I feel I'll have to work on it before using them in actual play. It's like there's a gap between concept and execution. Agreed. Just updated them to try and help with them a bit, mostly in the Fated/Fateless Hero department. The Abomination is a super interesting, the class is a being that has been transformed through magical or non magical means into this thing that when it levels grows extra limbs which add attacks, gain abilities like flying, and bonuses to other roles. I had one pc in a game I GM turn into this after they came back to life, turned out to be a big winner. The other three classes are very solid as well, the abomination just solidly stuck out to me. Great work.